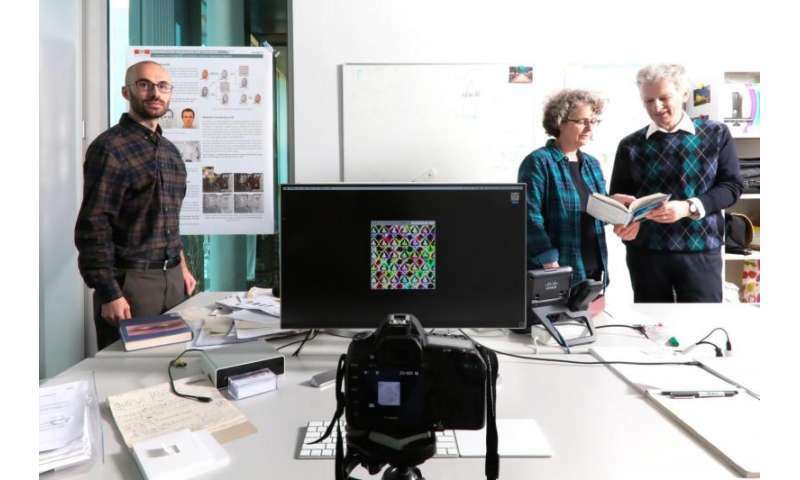 EPFL researchers took advantage of the limits of human vision to hide an image in a video. The image is invisible to the human eye, but not to a camera. Human visual perception works well and is very effective at seeing what's important to us. But our eyes are not capable of averaging video images that last longer than 40 milliseconds. This is something that a camera can do, however, thanks to its adjustable exposure time. EPFL researchers used this fact to hide visual information. They modified an image over time through temporal masking, eventually turning it into a video. They tweaked a number of the image's technical components to make it invisible, but without changing the underlying image. This temporal variation cannot be detected by the human eye, which is busy watching the resulting video. But a camera can reveal the hidden image. The researchers started with a simple observation: if you spin a disk with two different colors, they start to meld. 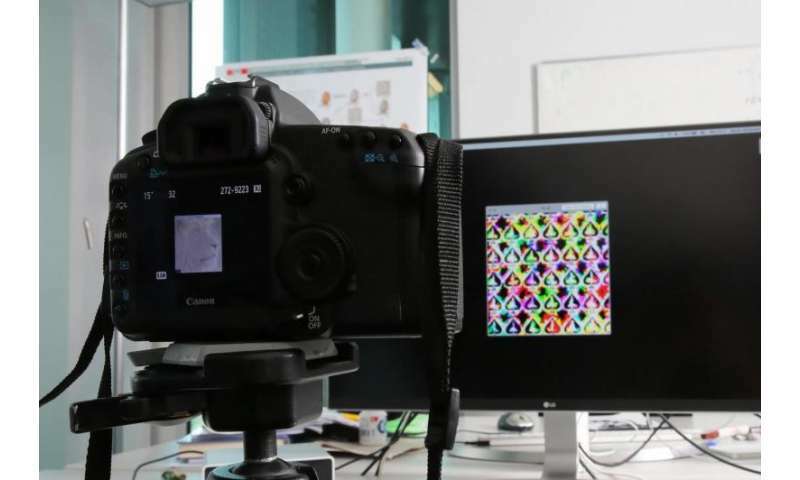 "You have two pieces of information – red and green colors – but when the human eye sees them over time, it stops detecting two colors and just picks up yellow," said Sami Arpa, from EPFL's Image and Visual Representation Lab (IVRL). Arpa wondered if this method could be used to hide an image within an image and trick our brains. So he designed a disk where the second image can only be seen by syncing the speed at which the disk rotates with a strobe light. "From there we thought we could produce the same effect with video," Arpa said. So how do you hide an image in a video? This is no mean feat, because images contain much more information than texts do. The trick lies in masking one signal by another. "Normally, for this to work, the two signals need to have the same contrast, orientation and frequency," said Sabine Süsstrunk, the head of the lab. "But that gets pretty complicated when you want to hide an image in a video, as the two signals are so different in nature." The researchers took advantage of the temporal limits of our visual capacity to design an algorithm that creates special video seals. They came up with a "tempocode," a video made of moving patterns that can mask the varying frequencies of an image. Only a camera or smartphone app can reveal the hidden image. They have a feature that the human eye lacks – adjustable exposure time – which can be used to temporally average the images. It's as if these devices were viewing all the superimposed photos at once, since video is nothing other than a series of images. "We turned an image into a video, but to make sure that human eyes couldn't see it, we had to juggle a number of constraints – it was really difficult," said Roger David Hersch, who helped develop the method. "We can choose an exposure time of 8, 10 or 15 seconds, which isn't possible with the human eye."